Ransomware is a malware that locks your crucial computer data and demands a ransom amount when you try to access it. One example is WannaCry, the ransomware that affected millions of computers worldwide in 2017. Windows machines use Server Message Block Protocol for communicating over a network. When hackers install ransomware over the network, it exploits the vulnerability of SBM (some examples are DoublePulsar and EternalBlue) for to spread to other devices. Encrypting Ransomware: This type encrypts all the files with a passcode and demands a ransom to decrypt the files. Locker Ransomware: It locks your system and displays a ransom amount on the screen. MBR Ransomware: This type turns the OS to an unbootable state. IoT Ransomware: In this, the attackers take over the device completely. Android Mobile Device Ransomware: The mobile devices either gets permanently locked or your sensitive data is stolen by the attackers. If you face ransomware attacks, we have some suggestions that might help you. Right-click on file and click End Process. Note: Proceed to the next step for detecting the hidden files. To display hidden files and folders in Windows 10, click in the Search on the taskbar, type Folder. Select Show Hidden Files and Folders and drives (Under Advanced Settings); click OK.
To display hidden files and folders in Windows type Folder Options in the Search box; open the Folder Options, go to Advanced Settings; select Show hidden files, folders, drives and then click OK.
To display hidden files and folders in Windows 7, go to Control Panel >> Appearance and Personalization; click Folder Options, select the view tab; click Advanced Settings, select Show Hidden files, folders and drives and click Master Boot Records. System restore is the best solution to deal with encryption type ransomware. The user can open System Restore from Control Panel to restore to a previous state. MDF files of SQL Server can also be affected by ransomware attacks. 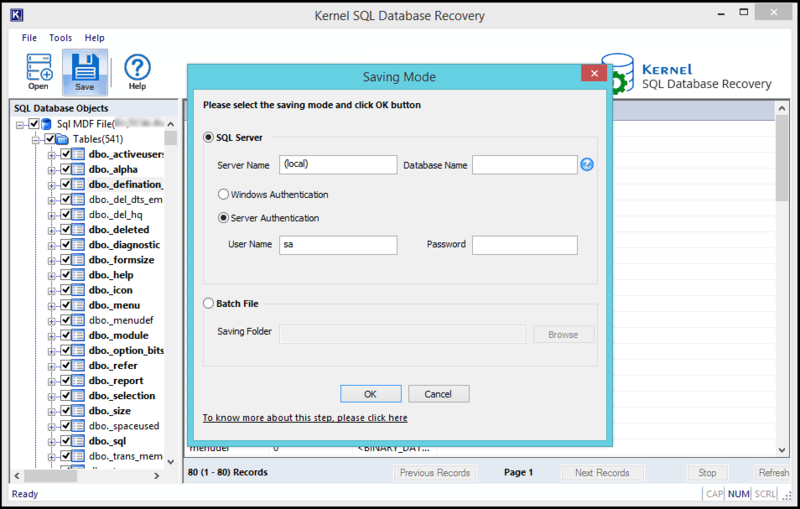 Kernel for SQL Database Recovery tool is the best tool for recovering corrupt or inaccessible MDF database files. 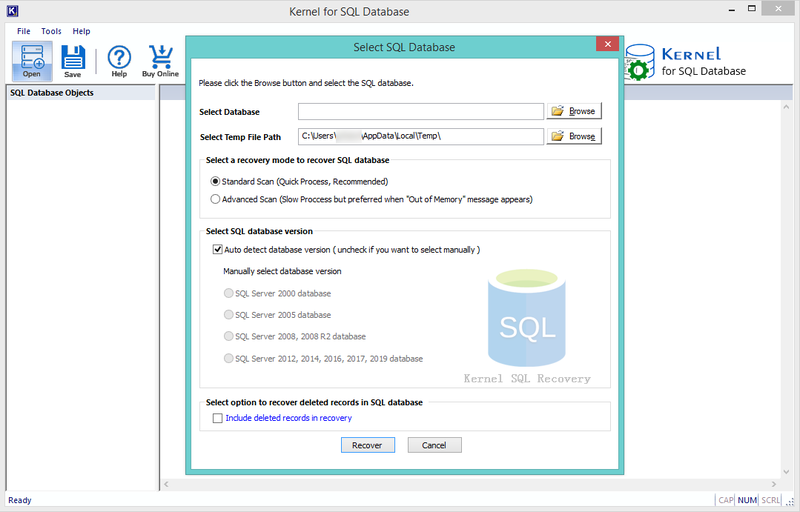 It is an excellent utility that is intelligently designed to restore your lost database objects without any loss of data integrity. 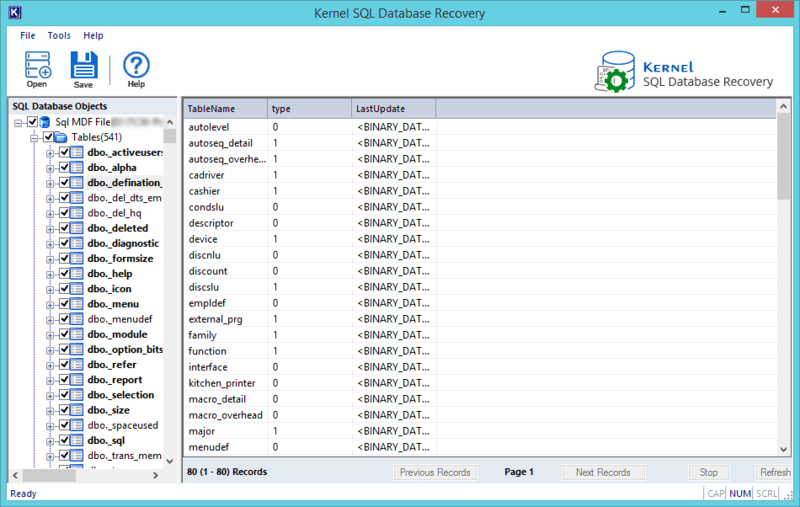 Install and Launch Kernel for SQL Database Recovery and select the .mdf database file. Then choose the SQL database version of the MDF file. Click the Recover button. The recovered objects will be displayed as shown below. After cross checking your objects and files, select the data you want to save and click the Save button. Now, select the required saving mode and click OK.
After the completion of the saving process, click OK.
After ransomware attacks, you will be asked to pay a hefty amount to get access to your locked files. 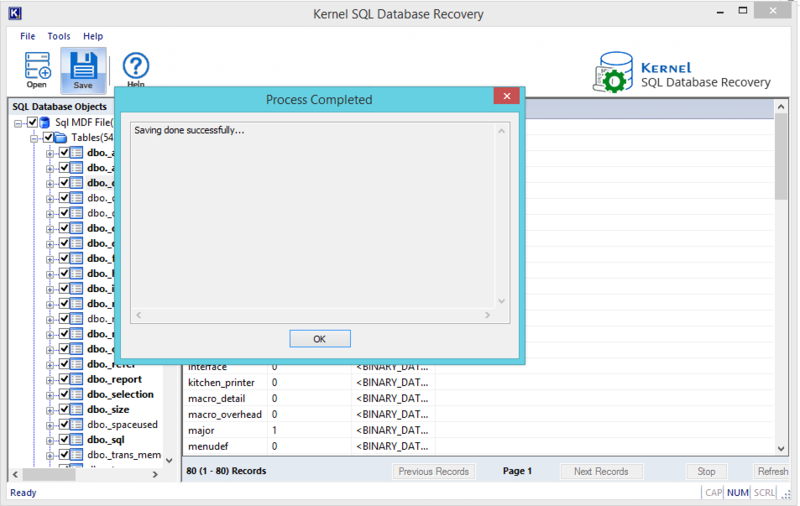 However, you can try to recover lost MDF files using Windows recovery tools or using SQL recovery tools.